room to read | Raven Hydronic Supply Ltd. The 9 Year old Girl who Started her own Library. Room To Read recently tracked down Muskaan Ahirwar, a third-standard student who started her own library called “Bal Pustakalaya” meaning Children’s Library in a small slum in Bhopal, India. This motivated young woman opens up Bal Pastakalaya every day after school where she has dozens of children come by from a nearby low-income neighborhood and listen to her read. This is yet another moving story on how education can change the lives of many children in the developing parts of the world. Also showing the importance of Room to Reads’ “Girls Education Program”. Muskaan is pictured with a smile on her face, very proud of her accomplishments. 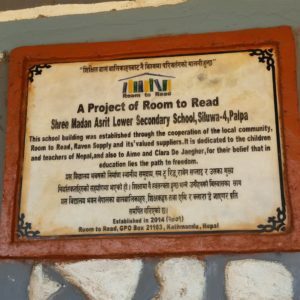 This Library is located nearby Ravens 2015 project of providing 50 girls with a 1-year scholarship as well as a library. Check out the whole article from Buzz Feed here. 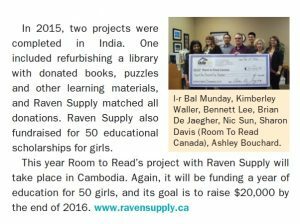 Raven Supply has been featured in HPAC Magazine for the fourth time since partnering with Room to Read in 2013. 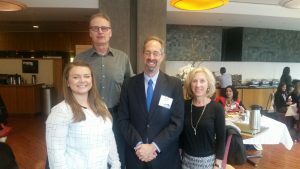 We were proud to share the news of our 2016 fundraising initiative to raise $20,000 for 50 girls scholarships in Cambodia! 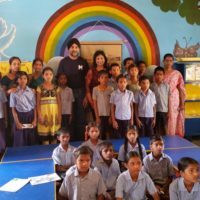 In February, my husband Kal and I took off to India to visit the site of our 2015 Room to Read project at Mandal Parishad Primary School in the village of Mudigonda. 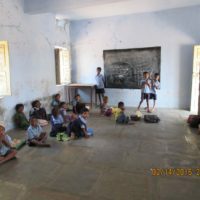 The school is located 90KM from the main city of Hyderabad in southern India. It took us about 2 hours to get to the school. 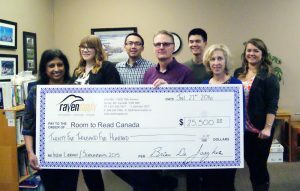 Raven fundraised to refurbish a library and provide 50 girls scholarships. 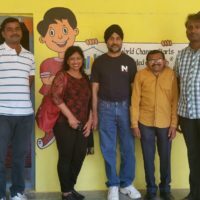 We were welcomed by the principal, teachers, students, the village chief along with other members of the community and parents. Our visit was approximately 3 hours long. 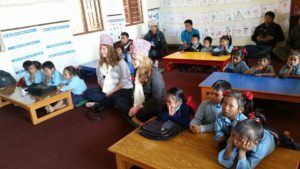 We joined in both the preschool and elementary classes. 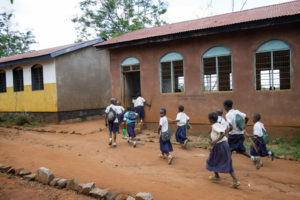 The school also provides a community support program for new and expectant mothers on one side of the school. They also have a cook to provide lunch for students as well. The teachers seem well-trained. They were very proud of their students and their school. They use different teaching methods, such as point systems for different levels of books, acting out books, singing and drawing. 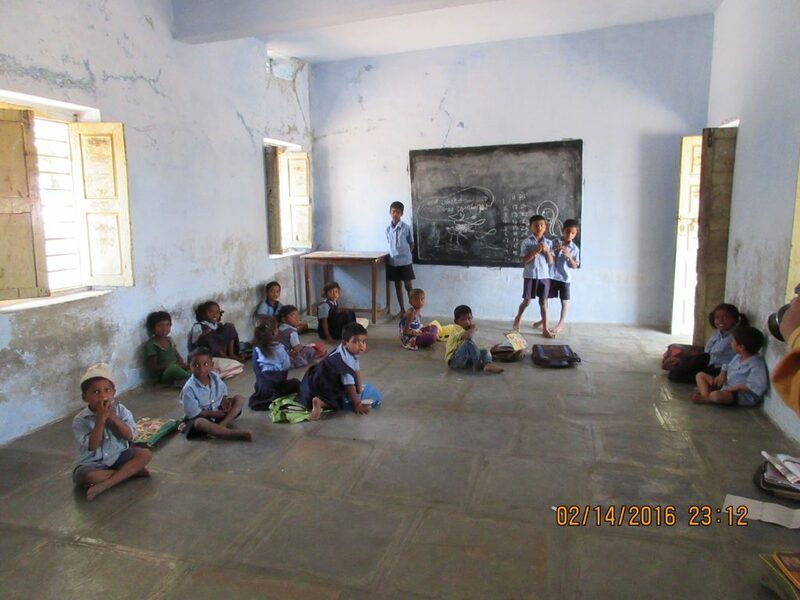 Along with teaching in their local tongue – Telugu – English is taught as well. With the help of translation from Room to Read representatives interacting with the students was my favourite part of the trip. They were a little shy at first but soon opened up. I asked some of the students what they wanted to be when they grow up, all of the girls I asked answered teachers while the boys said doctors and police officers. They were very curious to hear about my life in Canada and about my children. We were taking pictures and making small videos during the visit and when I showed them some of their pictures, they were so excited and mesmerized to see their own faces. 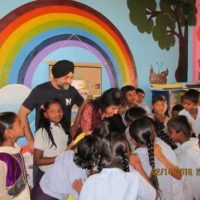 The hardest part of the visit was to witness the poverty and lack of learning materials, even with Room to Read’s help. The biggest problem I thought was the lack of reading material for different ages. For example, children for grade 1 to 3 will be offered the same books, so for 3 years the child will be reading the same material. 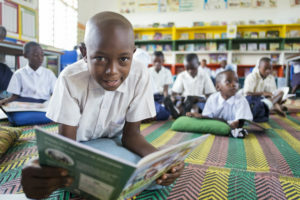 There is a potential for the young children to fall behind because of the challenging material or older children in the group to lose interest in reading the same books over the years. 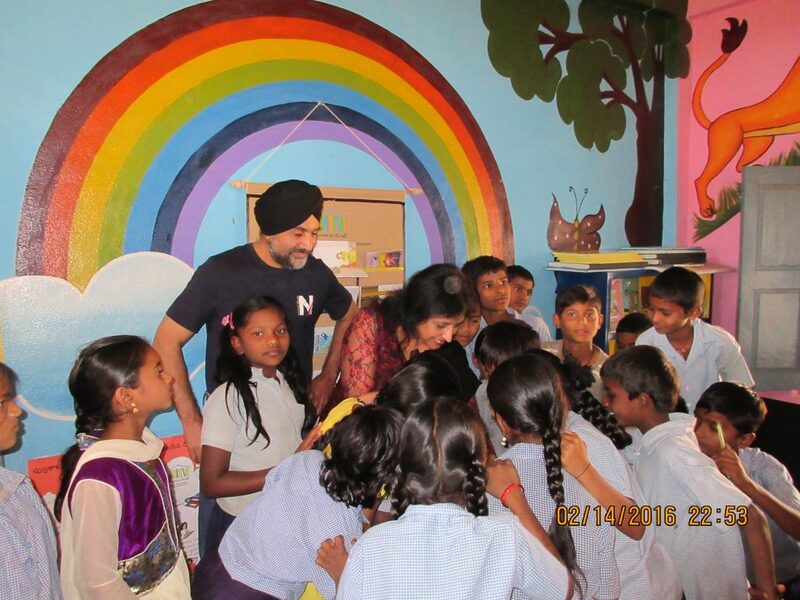 It was nice to see how much a library filled with books has made such a big difference in these children’s lives. The children were very proud to show off their library and to read some of the books out loud to us. They know this is what sets them apart from the rest of the schools around them. The Library has 2 monitors that will go to the children’s house to retrieve a book if it is not returned on time. I left the school feeling proud and happy be part of the Room to Read program and very grateful to go and experience the difference we are making for children, their families, and their community. We stayed a few extra days in Hyderabad and explored the city and toured the museums and ancient forts. Apparently Hyderabad is new with upcoming IT hub in India. This region is famous for manufacturing granite and is also known as the City of Pearls. A piece of granite was too heavy to bring back so I went for the pearls. Today, Brian and Ashley traveled to the Sheraton Wall Centre in Vancouver to meet with Cory Heyman Ph.D. (Chief Innovation Officer, Executive Director, and Room to Read Accelerator) & Sharon Davis (Vancouver Room to Read Chapter). Cory was in Vancouver for an Education Conference in which he was speaking. 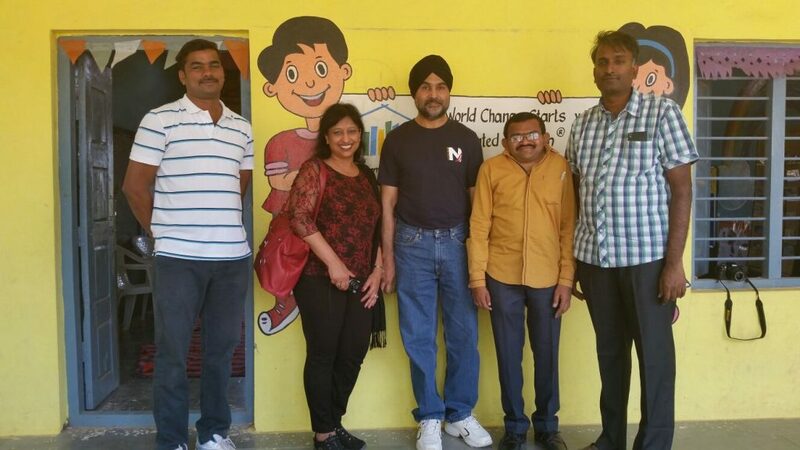 We met with him for a breakfast meeting and learned all about involvement in Room to Read and their plans for the future to ensure that even more children in the developing world have access to quality education in the future. From left to right: Ashley, Brian, Cory, Sharon. 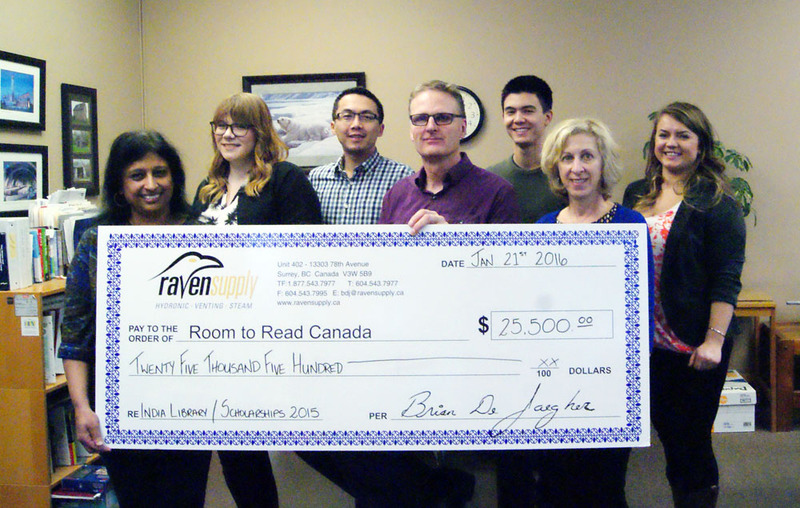 Raven Supply has handed over the $25,500 raised last year by Raven Supply, their vendors, and customers. The funds raised in 2015 will go towards filling a library with books, puzzles, and other learning materials. 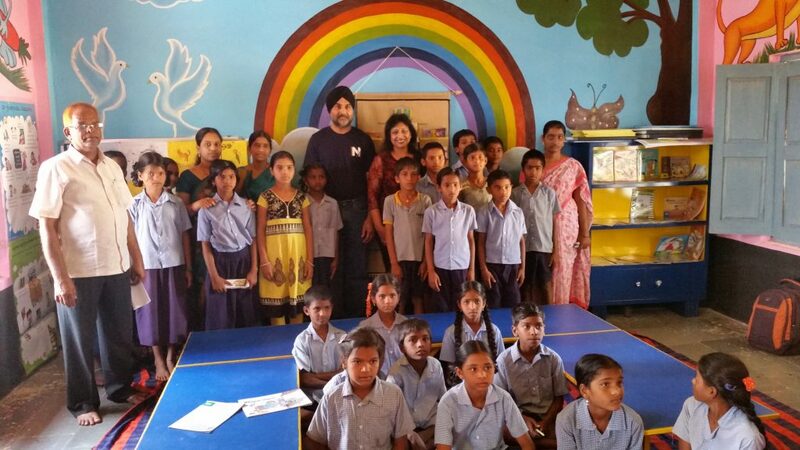 We also fundraised to provide 50 girls in India with a one-year scholarship. This provides them with workbooks, backpacks and other supplies they need to succeed as well as support from within the community. Room-to-Read’s in-country staff, provide continuous support for these girls and ensure they are continuing to attend school. 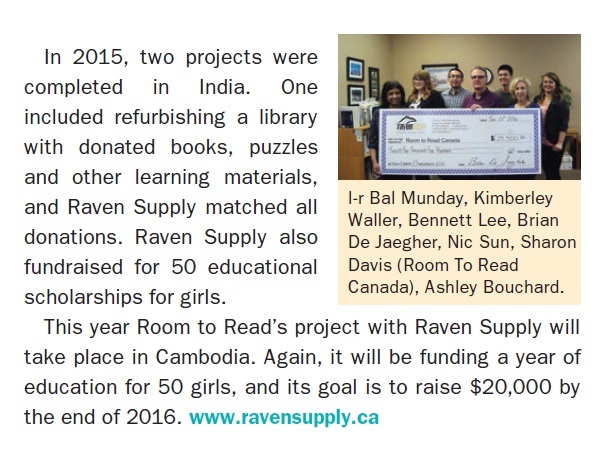 Raven Supply is happy to announce that the location of its 2016 fundraising initiative for Room to Read is Cambodia. We do not yet have the details on what we will be funding for, whether it be a school, library, scholarships or teacher training, but we cannot wait to start our 4th year of contributing to such a great cause. Keep posted for upcoming announcements!